One of the major factors why your content ranks high in Google is the amount of times users search for certain keywords. The more your content is relevant to user searches, the more opportunities you have to appear on the first page of search engine results. 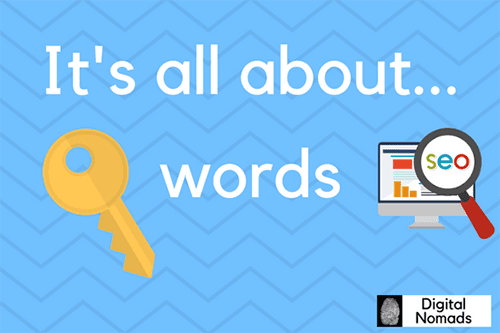 Knowing which keywords to use in the content of your website is critical. While there are a lot of tools that can help you, there’s a very simple solution… Google’s keyword planner helps you discover the right keywords to use. The keyword planner suggests a list of keywords based on the analysis of your website. You can use these keywords to improve your keywords strategy. And while you are waiting for your SEO rankings to improve, you can also use these keywords to start your first advertising campaign. (We will get into details of what information the keyword planner provides for SEM campaigns in a different post). This tool gives valuable information such as the forecast on the volume of searches in Google for specific keywords based on location, language and historical data. The planner can help you to choose between high volume keywords and niche keywords depending on your product and market focus. When you read the results don’t forget that some searches are influenced by seasonality. Moreover after you get the search volume trends for specific keywords, you can further analyze these results by selecting the “search volume trends” option. The “breakdown by device” tells you if keywords were searched more on PC, Mobile or Tablet. That’s another important piece of information you can use to optimize your webpages. Two important metrics to understand the relevancy of your website in the eyes of Google for specific keywords include, “organic impression share” and the “organic average position”. The first metric shows the % of times your website showed up in web searches for a specific keyword. The second metric shows how your website ranks in Google for a particular keyword compared to other websites. This is precious information which can help you understand specifically how you are doing in comparison to your competitors and lets you know where to focus your efforts to improve your organic presence. One of the basic SEO optimizations you can perform on your website is to apply the right metatags to your pages. Since meta elements are part of the HTML code, they are not visible on the page but they can be detected by search engines crawlers. Metadata includes keywords and page description. Meta keywords have lost importance with the passing of time and the evolution of the search algorithm. These days you should focus on meta descriptions. Meta descriptions influence how your website pages appear listed in search results. A good and compelling meta description can increase your click-through rate and the amount of traffic to the website. It is important to use high value keywords from your content in your meta description. Write enticing, relevant ad copy and keep in mind that the ideal length of a meta description is between 50 to 300 characters. It is crucial to understand the importance that keywords and meta descriptions play in determining the success of your search engine rankings. Understanding this importance will prepare you for a successful SEM campaign. Having a clear picture of what users search for will help you to position your product/service in the market and make a successful impact on your future customers.